17 | May | 2014 | Andrea Works . 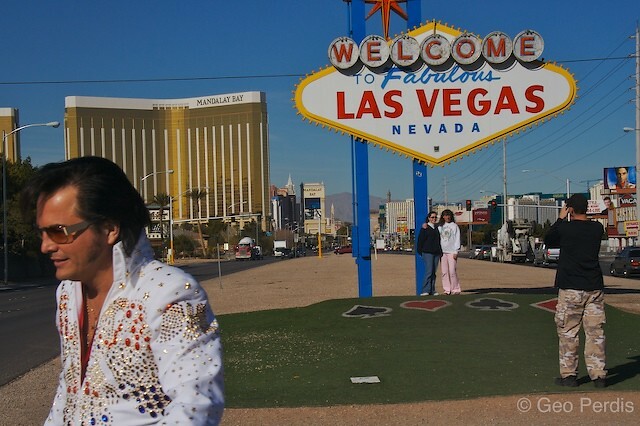 . .
Las Vegas is many things to many people, but opinions vary on what it is not. From the surface appearance, it is not for the long-term, the serious, the romantic. In other words, it’s for fast fun frolics. At least that’s what everyone says. I wonder how often the casual-meetup section of Craigslist or the hookup apps crash under the sheer weight of panting people in party apparel. Now its mid-May and the first blast of heat for Las Vegas in 2014: four solid days of 100-ish temperatures with barely a bit of gauzy clouds to filter the rays. Tourists pound the pavement in search of whatever it is they think Vegas is, with barely a bit of gauzy clothing to filter their derrieres. These days, and this trip in particular, I’m a visitor. I work with Vegas to coax out what I need: wonderful but not stupid expensive food, trail running, social opportunities. Getting lost in the thicket of Caesar’s Palace is amusing and a bit sad instead of exciting, even if Bourdain and Ruhlman lived it up within those walls. In the mornings I escape for dirt pounding on trails south or west of town, or find a local coffee shop a drive away from the hubbub. Note to coffee-fiend visitors and tourists alike: Sunrise Coffee is THE SHIZ. Las Vegas, this visit, is the vehicle for a group get together of sweets professionals: the 2014 eGullet Confections & Chocolate Confab. I’m no pro, but good friends with some in the bunch, including the amazeballs James-Beard-nominated Rob Connoley of The Curious Kumquat. I’m not a pro, so I’m just spending my time doing writing, researching for Rob’s book, and attempting to take in some of the local non-strip offerings. I’m not sure what I hope to learn from the stay this time. A trip to a completely divey spot like the Double Down might be awesome. I’ve had Lotus of Siam now, and that is well worth the visit for crispy fried prawns. Tonight will be taco trucks a go-go and hey, sometimes that’s all a person needs.